Throughout our lives, we feel many emotions, and we often express them in our faces. Unfortunately, if we don’t feel confident in our smiles, we are not able to adequately communicate the moments in our lives that are most important. And if we are worried about our smiles, self-esteem suffers, and this can have an impact on professional and personal lives. Unfortunately, as time goes by teeth can suffer a bit of damage. Stains, cracks, and alignment issues can make your smile look dull and adversely affect your life. At Ria Dental Family, one of our answers to such tooth damage is porcelain veneers, a powerful restoration option. 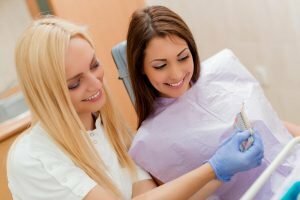 If you’re thinking about getting veneers to improve your smile, here’s what you need to know before making an appointment with us. Dental veneers are super-thin porcelain overlays that are placed on teeth to improve and enhance their appearance. Porcelain veneers are a cosmetic treatment that only affects the surface of the teeth. No complicated treatment or surgery is involved. Dental veneers are manufactured to mimic the look of natural teeth in colour and glow. In order to be properly affixed, dental veneers require existing teeth and an existing dental substrate for structural support. Badly stained teeth. Years of drinking coffee, smoking cigarettes or eating coloured foods can take a toll on the brightness of your. Teeth can also become discoloured by root canal treatment; stains from tetracycline or other drugs, excessive fluoride or other causes; or the presence of large resin fillings that discolour teeth. While stained enamel can be bleached at home or by your dentist, not only can it become stained again, but some stains cannot be bleached. If you’re looking for a way to whiten your smile for good, dental veneers may be a good fit for you. Once veneers are in place, they are very stain-resistant. Minor cosmetic issues. Slightly gapped or crooked teeth can be treated with braces or other orthodontic treatments, but in many cases, they can also be addressed with the far less invasive dental veneers. Veneers attach to the front surfaces of your teeth – so although they don’t change the actual surface or position of your teeth, they effectively camouflage minor orthodontic problems. Your natural teeth may still be gapped or crooked, but nobody will know aside from you and your dentist. Replace damaged enamel. Enamel is durable, but it can be damaged or destroyed. In particular, enamel may be worn down from too-strong tooth brushing or eaten away by highly acidic drinks and food. The good news is that it can be replaced and veneers are a great way to accomplish this. To create a customised, attractive, and natural fit, Ria Dental begins by consulting with you to determine the “look” you’d like to achieve while checking if veneers are a good match for your dental needs and, if so, working out the best colour choice. Next, we lightly sand the enamel on the teeth to be fitted with veneers to be sure that tooth thickness is not altered. Next, we take impressions of your teeth so the veneers will fit perfectly over them. While your veneers are being manufactured, we may place temporary veneers on your teeth. At your next visit, we will have you approve the shape and colour of your veneers before cementing them in place. Your teeth will be cleaned with a mildly acidic solution, and a tooth-coloured bonding adhesive will be applied to hold them in place. Finally, the veneers are buffed to blend in with your other teeth. Veneers are durable, lasting a decade or more, and can stand up to most usual things your teeth do. But porcelain is a kind of glass; it can be damaged or destroyed. Follow these guidelines to avoid damaged veneers and additional dental costs. Avoid excessive biting or chewing. Using teeth to chew hard items or open containers can lead to damaged veneers. Limit foods and drinks that cause staining. Veneers don’t typically stain, but teeth around them can, leading to a “mixed” look. At Ria Family Dental in Yeronga, we provide comprehensive care addressing both your short and long-term dental care needs. We promise to provide an honest, judgment-free environment in which we practice convenient, comfortable, and conservative care designed to maximise your smile and oral health! We are located at 1/451B Fairfield Rd, with Yeronga station and bus stops nearby, as well as convenient store-front parking. For the convenience of our patients, we offer early evening hours on most weeknights. Ria Family Dental will provide you premium porcelain veneers that will surely bring people’s attention to your winning smile. 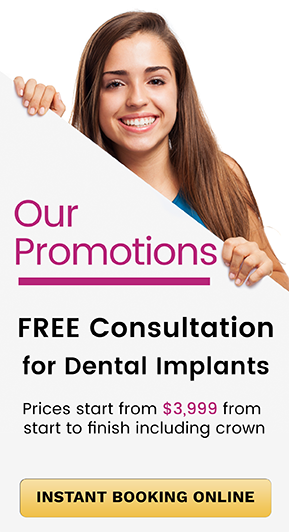 To improve the appearance of your teeth with porcelain veneers, talk to us today!